It takes a lot to become a supermodel. Gisele Bundchen is among the elite, with featured appearances on the Victoria's Secret fashion shows. A great bone structure? Certainly. Taut musculature, no doubt. Confident yet detached facial expression? Of course! But the real clincher? To be a supermodel, it seems that you need to have a diet named after you. Bundchen is not about to be left behind. Here is what you should know about the Gisele Bundchen diet. Ms. Bundchen credits her great looks on her genetics. That is certainly a factor, but keeping those curves in the right proportions is not automatic. After following the Dukan diet for a while, she decided to branch out on her own, diet-wise. A big fan of pasta and red meat, Bundchen is not your typical dieter. She associates carbs with happiness and energy. Is there anything off limits with her diet? Well, she suggests avoiding sugary breakfasts, enjoying proteins instead (ham and eggs, anyone?). She also avoids eating before bed, suggesting that you don't eat a full five hours before going to bed. Bundchen believes that if our stomach is empty at bedtime, we will burn fat all night instead of digesting that last-minute snack. The Gisele Bundchen diet plan does not count or restrict calories. She reminds us to be mindful of what we eat and practice portion control. Further, she suggests only stepping on the scale once a week. More frequent weight-ins only serve to discourage and dishearten you, she believes. Ms. Bundchen believes that hydration is key. She drinks 3-5 glasses of water with each meal. 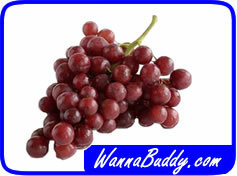 She also enjoys grapes and other juicy fruits to keep her hydration up. When preparing for a modeling engagement, Gisele fasts. Her intermittent fasting becomes a complete "nothing by mouth" affair during the 24 hours leading up to the event. That delivers the sleek bikini silhouette for which she is famous. Not depending entirely on diet to keep her figure lingerie-ready, she works out at least a half hour every day. Some reports say that she even travels with a portable gym. Regardless, she takes time every day to exercise and practice yoga. Will creating your own diet make you a supermodel? Don't think so, sorry. But the Gisele Bundchen diet does have a lot of attractive qualities, like moderation without deprivation and remaining motivated by limiting your weigh-ins. Who knows, you might be on the next Victoria Secret fashion show! Need a new workout buddy? Find a workout buddy near you. Keep accountable, have more fun! Subscribe to the WannaBuddy Blog! All content copyright 2011-2015 WannaBuddy.com. Qnexa - A Safe Diet Pill At Last? Visit www.WannaBuddy.com to find a new buddy. Powered by Blogger.